From the day you decide to sell your home to the moment you put up that “SOLD” sign, there’s a lot of room for errors. That’s simply because a real estate transaction can be rather complicated. Luckily, there are professionals in this industry to help guide you through the process. And while they will be taking on a lot of the burden, it doesn’t hurt to know the potential pitfalls along the way. The only thing worse than dealing with an issue while selling your home is to have never seen it coming. This is mostly going to be in the hands of your agent, so make sure you find someone who takes marketing very seriously. Taking full advantage of every angle is going to get you your best exposure and thus your fastest sale.Some sellers may think that all they need to do is take a few pictures, post an ad, and wait for the offers to come rolling in. Marketing is actually a multifaceted approach that involves many different outlets, follow up, and most importantly – a strong message. 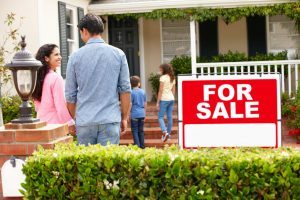 Remember – an agent can provide you with access to the Multiple Listing Service (MLS), the national database used by real estate agents, which is a key aspect of selling a home. It’s hard to hear that your house isn’t worth what you thought it was. Sellers will frequently argue that they need to get more for their home and refuse to deflate their expectations. This can be a serious mistake. There are certainly situations in which you can get your expected asking price, however, you cannot go into this process in an unrealistic manner.Determining an asking price involves many things, such as the current housing inventory, condition of you home, and comparable sales in your area. When you have an agent on your team, you can determine a fair price for your home. They can use all of their tools to create a reasonable asking price that will get you to the finish line. This is actually tied into the previous mistake. One of the biggest reasons why homeowners set unrealistic asking prices is because of their emotions. It is difficult to hear that the home you spent your time, money, and memories in isn’t worth what you thought it was.We know that emotions can easily cloud your better judgment. That is why it’s important to clear your emotional slate when starting this process so that you can act with a clear head. Chances are, you’ll have to get your ducks in a row before you can properly list your home. Don’t be impatient. Chances are, there will be a lowball offer. Don’t be offended. Move on. Chances are, you’ll hit a wall while negotiating. Don’t get frustrated and don’t be stubborn over minute details. Keep in mind that you are a participant in a pretty large business transaction here. There are a lot of steps in the process that will allow for your emotions to run high. Try to ground yourself and rely on your real estate agent to help keep you there. We get it. You’re leaving this house for greener pastures. Why would you want to make a ton of repairs and spend money for the next homeowner? While it can be frustrating to do so, there are many repairs that should be taken care of before placing a home for sale. And while you think you might be “wasting” your money on them, keep in mind that a house sitting on the market for months and months will likely cost you more. It is important to speak with your agent about which repairs are the most important to take care of and which ones aren’t. For example, you do not want to ignore major plumbing issues. A home inspector will easily locate these. You also want to take care of any quick fixes like shaky door knobs or broken screen doors. They are easy to change out and can really change the mind of a buyer. You’ve made it. You found a buyer. You’re ready to get this thing over with.Enter: the closing process. Often times the most difficult part of the process, the closing has the potential for many pitfalls that can stop a sale dead in its tracks. Your buyer can have a bad experience with their lender, there could be issues with documents as tiny as a misspelling, you can have issues with a title company. This is why it’s so important to be prepared. Speak with your agent on ways you can anticipate any problem that can come up with closing to ensure a smoother process. When you are ready to sell your home, hope for the best, but prepare for everything. Take the time to talk with an agent about how you can handle all of these situations. I agree a lot of people are setting their house price really high and so it is difficult to sell their house faster. It is definitely important to set the price of your house right. Awesome blog by the way. Keep sharing! Thanks Richard. We agree with you its a very important part of the process.